What is the difference between Rogowski Coils and conventional CTs? Understanding specific job requirements, such as performance, installation, amperage load and environmental factors is critical to selecting the proper current transformer for an application. Conventional current transformers (CTs) come with their limitations as they are difficult to install and are lacking in performance and measurement range. Rogowski coils have significant advantages with regards to installation, cost and performance. Busbars and irregular shaped cable bundles are common in applications with high power requirements. Conventional CTs typically are not able to fit around the monitored conductor, leading to an exhausting and time consuming installation. 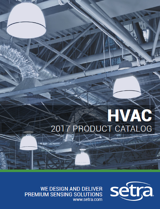 The flexibility of Rogowski coils saves the installer a significant amount of time & physical exertion because of how easily they surround a conductor. Selecting a Rogowski coil over a conventional CT can save over two hours per metering point during a challenging installation. Selecting Rogowski coils can also reduce shipping costs due to their wide current range, lowing the cost of the overall job. Setra’s Patrol Flex Rogowski coils weigh just half a pound and has a current range up to 5,000 amps while conventional CTs with comparable ranges can weigh up to 65 pounds per metering point. 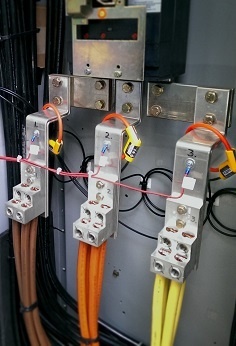 A technical limitation of a conventional CT is the narrow range of current it can measure vs. the size of the CT. Rogowski coils have a current range of 5-5,000A (depending on the max current rating of the meter), which means that any Rogowski coil can be installed in any application regardless of monitored amperage load. Installers who use Setra’s power meters have even more flexibility; Setra’s line of meters allow for field selectable CT installation (either conventional CTs or Rogowski coils), facilitating any last-minute changes at the job site. Every Setra meter has the necessary integrator circuitry embedded within and effectively eliminates the need for any external power sources. CLICK HERE to learn about the benefits of placing multiple current transformers in a single channel.